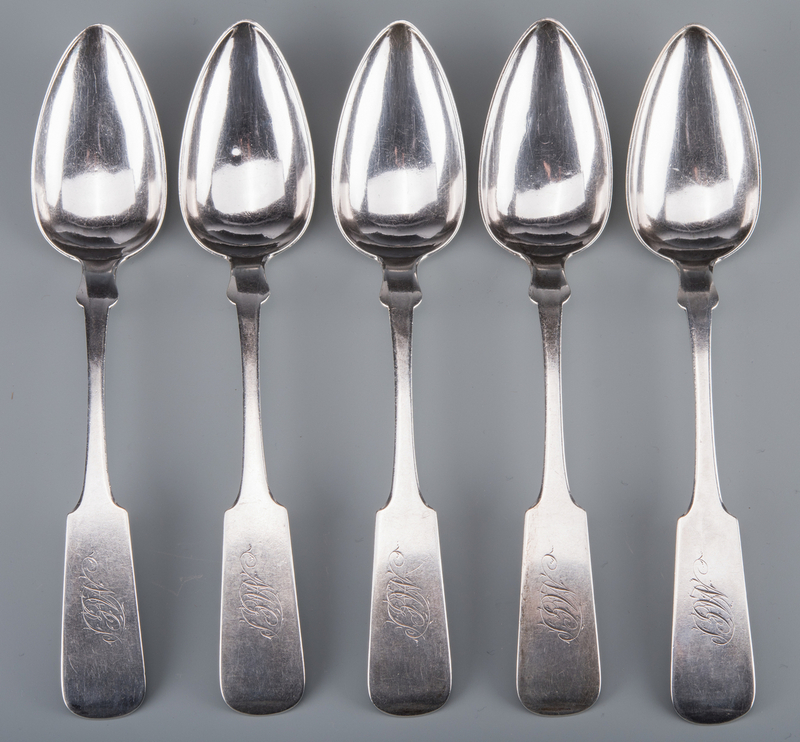 Group of 19 pcs. 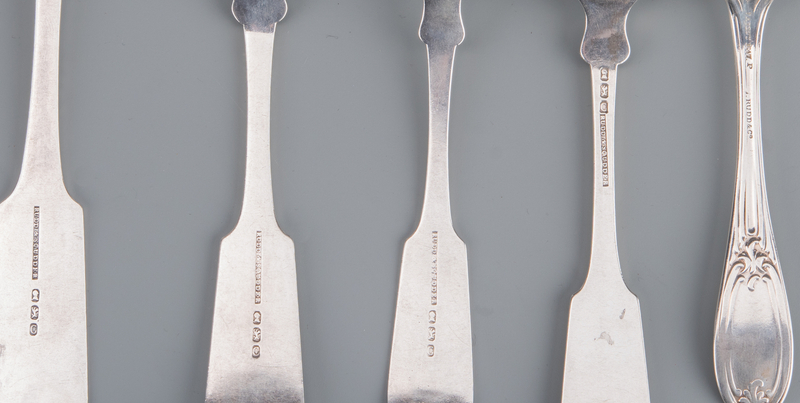 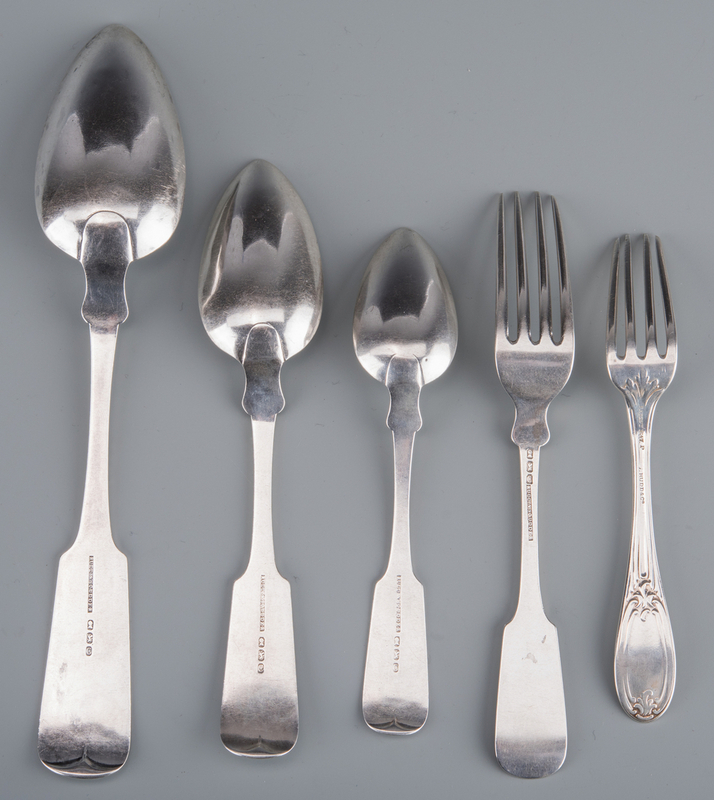 American coin silver flatware, including 5 tablespoons or serving spoons, 9"L, 2 dessert spoons, 10 teaspoons, and 1 fork, all in the fiddle pattern with monogram MEP and marked Rudd & Scudder in rectangle with bust, lion and C pseudohallmarks (working New York City, circa 1848-1850+); together with one small fork in a variant of the Olive pattern, monogrammed EP and marked patent 1847 with incuse mark J. Rudd & Co., 5 7/8"L. Combined weight: 21.28 oz troy. 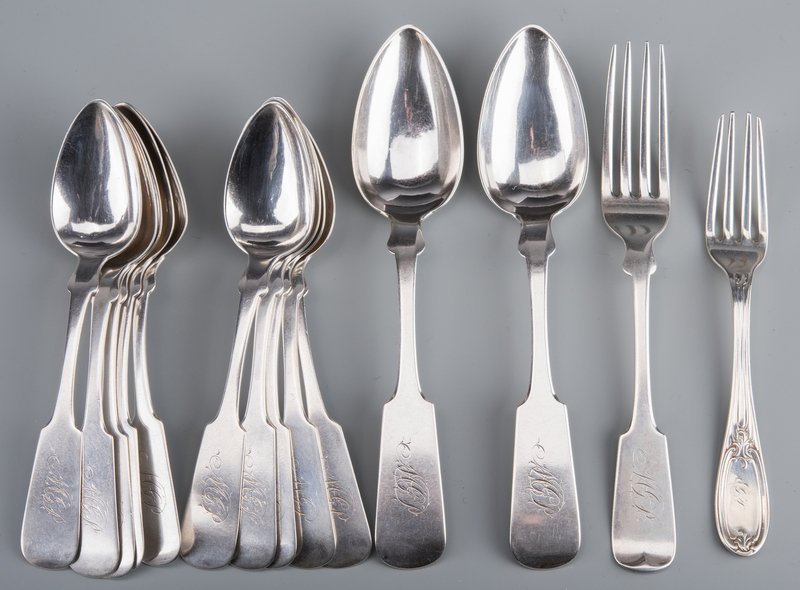 CONDITION: Overall very good condition with a few tiny dents to a couple of spoon bowls, wear to tines on small fork.